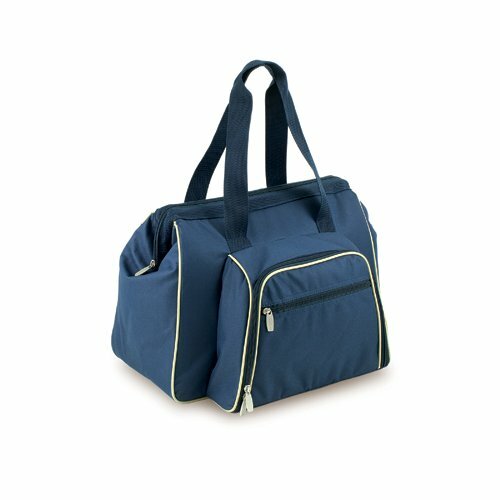 The Toluca is the perfect cooler tote for lunches, concerts, or travel. It has a spacious cooler section with 0.89 cubic feet of storage space, enough to hold 24 12-oz. cans. A separate compartment houses all the amenities you will need for your picnic for two, including: 2 plates (plastic, 8in), 2 stainless steel forks, knives, and spoons, 2 shatter-resistant wine glasses, 2 napkins (100% cotton, 14? x 14? ), and 1 stainless steel, waiter-style corkscrew. Fully-insulated and designed with convenience in mind, the Toluca makes it easy to pack your own picnic and get on with your activities!